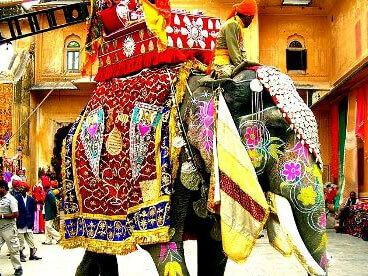 Rajasthan the land of grand forts, wonderful palaces and marvelous havelis boost for an India’s most alluring festival state. Over the past few years, Rajasthan host various events ranging from dance music festivals and camels shows to a ballooning events and literature gala. So to witness a great admirable experience or different colors of the state through its events. 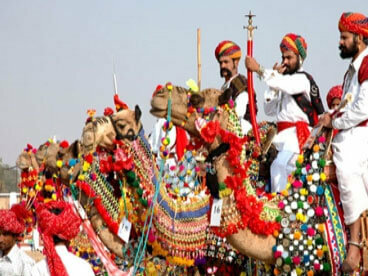 “Pushkar Camel Fair” is treated as one of the biggest annual camel and livestock trading fair in the world. Besides helping business purpose (livestock trading), this five-day carnival is a fusion of camel, culture, and color; here not only display are thousands of camels, cattle and horses but various exhilarating activities for tourists like traditional folk performances, competitions and races(camel, horse, and donkey races) allure everyone to head to the state. Highlights :Matka Phod, Longest Moustache, Bridal Competition, Camel Race and Aerobics are the main attractions of this fair. During this fair, foreigners can also take part in a cricket match with the local people. One of the most heartwarming event of Rajasthan, “Elephant Festival in Jaipur” offers an opportunity to watch royally or princely decorated elephants (brocade jackets, brightly textured turbans and traditional jewellery) with a number of competitions like elephant races, elephant polo and elephant tug-of-war (between animal and man and much more in a grand way is really an experience like no other. 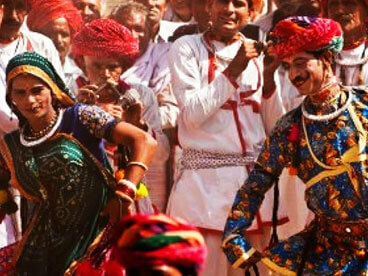 The three day action-packed “Desert Festival, Jaisalmer” display the life and culture of Rajasthan in a large aspect. 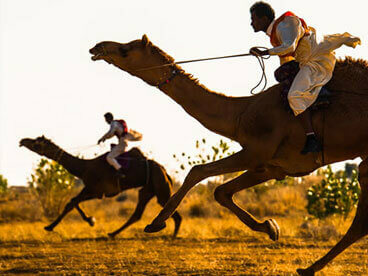 Its unique and exotic camel races, camel polo, folk music, snake charmers, turban-tying contests, famous Mr. Desert competition and many more activities in the middle of the thick and sun-burnt sands of the Thar Desert are the high points of the festival. Highlights : Camel Tattoo Shows, Acrobats (Gymnasts Display Their Skills on Camel's Back), Camel Polo, Puppeteers, Camel Races, Traditional Processions, Camel Mounted Bands, Folk Dances are the major attractions of this festival. One of the another famous festival in Rajasthan “Mewar Festival, Udaipur” welcome spring season with lot of zest, cheer, food, song and dance. Colorfully attired women take images of Goddess Gauri to Lake Pichola for immersion in a procession of boats that signals the completion of the celebrations are the highlight of this event. Highlights :Dressing up of Isar (who is an incarnation of Lord Shiva), colorful traditional saris and jewellery are the major attractions of this festival. The Sun city of Rajasthan - Jodhpur organises Marwar Festival also known as Maand Festival in the month of Ashwin (September – October) which is held for two days. 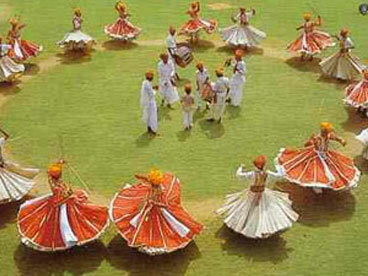 The festival is dedicated to the folk heroes of Rajasthan and a display captivating folk music and dance of the Marwar region, which revolves around the lifestyle of the former rulers of Rajasthan and this act, is known as Maand. 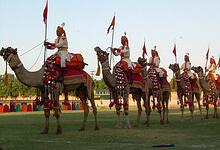 Camel tattoo show and camel polo are some other attractions of the festival. Umaid Bhavan Palace, Mandore and Mehrangarh Fort makes up as perfect host to the festival. When the rough/dry summer beats down the desert land of Rajasthan, its only hill station – Mount Abu provides more than breather as it comes alive with its unique three day “Summer Festival, Mt. Abu”; starting on the day of Buddha Poornima, the summer festival opening ceremony includes the singing of ballads which is followed by enticing folk dance styles of Gair, Ghoomar and Daph, Sham-e-Qawwali. Along with folk culture, this festival host other events also like horse racing, tug of war, skating races, CRPF band show, boat races on the Nakki Lake and last but not least closing ceremony that include a sparkling display of fireworks make it a one-of-its gracious experience. Highlights :Skating Race, CRPF Band Show, Skater's Show, Boat Race, Tug Of War, Paniharimatka Race and Deepdan are some of the major attractions of this festival. 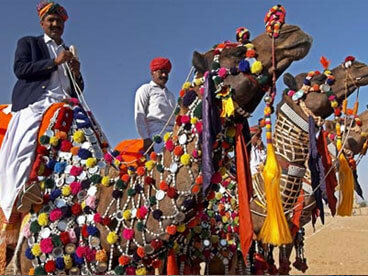 An annual “Camel Festival” held in traditional city, Bikaner also known as the camel capital of the country attracts local, national, and international visitors through various events like camel processions, camel races, tug-of-war, camel dances, and camel dressing competitions etc. Apart from these, camel festival offer plenty of option for eating, souvenir-shopping, photography and other sights to watch out include the skirt-swirling folk dancers, fire dancers and the dazzling fireworks show, that lights up the night sky above the covered Desert City. Highlights : Camel Race, Best Decorated Camels, Tug Of War, Camel Shows (Camel Show Their Footwork, Dancing and Aerobic Skills), Fireworks Show and other exciting games are some of the major attractions of this festival. 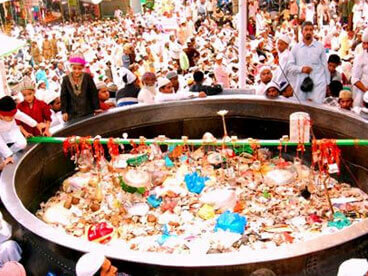 One of the biggest Muslim fair in the country “Urs Fair, Ajmer” which is celebrated in the memory of “Khwaja Muin-nddin Chisti” at Dargah Sharif, Ajmer is a wonderful event. On the evening of the Urs Festival, millions of devotees from all communities throng the tomb and offer Chadar, Ghilaph, and Neema/ Nazrana (Rose and jasmine flowers are placed on the tomb along with perfumes and incense) and blessed Kheer (milk pudding)/attend the famous qawali in evening. Highlights :Nazrana, Kheer (milk pudding) and famous “Qawali” during the evening are some of the major attractions of this fair.